Colony Homes is a division of The Commodore Corporation, an industry leader in manufactured and modular housing. The Colony Factory Crafted Homes division in Shippenville, Pennsylvania serves a 14-state area in the Northeastern United States. Built for the discriminating home buyer, Colony Homes are well-known for their extensive eye appeal. A stable workforce and a commitment to quality are among the many strengths which allow Colony to provide a superior factory-constructed home. Colony offers single-section, multi-section manufactured, and modular homes with in a wide range of affordability - all built with Colony quality. New Era Building Systems was founded in 1992 and quickly became a leader known for quality and customization in the modular home industry. In August 2005 we became a member of the Champion Family of Home Builders. With a builder market including over 20 states and combined with more than 150 years of owner/management experience in our 110,000 sq. ft. manufacturing facility, we have expertise and a product selection that is second to none. The New Era mission is to continue to stand on the ideals that we were founded on by building the best quality product at the best price in order to create a valuable home. Innovative Home Designs, unsurpassed product quality, and outstanding support we are "building the standard" in modular living. Welcome to the New Era Lifestyle. Our state-of-the-art home-building facility is located in Western Pennsylvania, approximately sixty miles north of Pittsburgh. 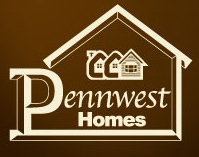 Pennwest Homes is an affiliate of The Commodore Corporation, a quality homebuilder with roots since 1952. Pennwest's construction methods utilize the most modern technology to maximize building efficiencies, quality and value. Your home will be built in a dry, controlled environment, away from inclement weather. It will go through numerous inspections during the building process to ensure that your home investment will meet your expectations. Your home will arrive at the building site and be placed on the foundation; finish work will be completed by your authorized local builder. Expect More from Titan Homes. It's finding a home you can truly feel proud to call your own. It's design choices that perfectly match your need for space and comfort and frees you to express them in your own way. It's award-winning design and craftsmanship, with true attention to detail. It's a commitment to providing you with the style and features you'll enjoy for years to come, It's combining everything you would want in a home with surprising affordability. During the past 36 years, Titan Homes has grown to become one of the most recognized and respected builders of factory-built and modular homes throughout the Northeastern United States. It's a recognition earned by consistently delivering more than our customers might expect. More innovative quality features. More home styles and personalized floor plans. More helpful customer service. More home for the money.